The Bristol to Weymouth timetable poster does what it says on the tin so to speak. 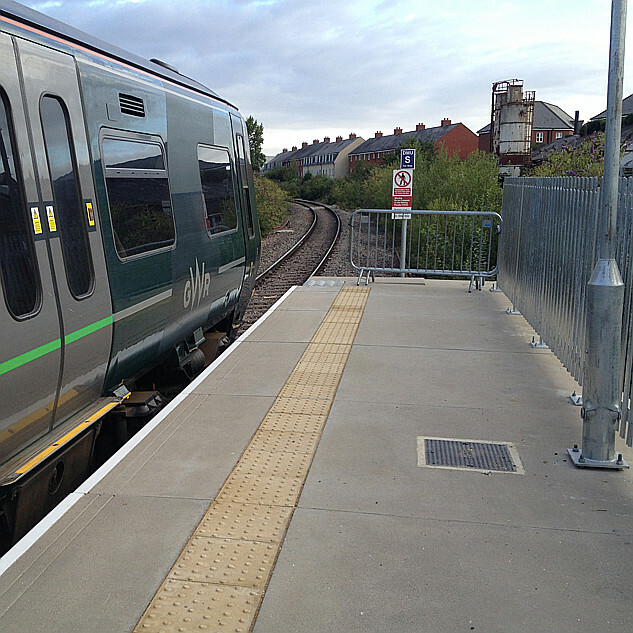 Its aimed at customers using stations between CLC and WEY that have no other services. We do have another timetable poster that does show all services between WSB and FRO but this could not be displayed at Frome due to poster space restrictions, hence why we now have an A-Z there. We do have another timetable poster that does show all services between WSB and FRO but this could not be displayed at Frome due to poster space restrictions, hence why we now have an A-Z there. With thanks for your explanation, Rob T, but is there any possibility that just one additional poster case could be installed at Frome station, for that general purpose? I only ask because, considering the staff costs incurred by Great Western Railway in designing such a poster, only to find that it cannot be displayed at Frome, does seem to be somewhat perverse. Never mind the cost and expertise, think what the passenger and potential passenger would find useful. Having the right display of posters at a station for the travelling public, and for the interested local resident who pops by for a look, remains a critical marketing tool. Some posters need to be displayed for the mass of users, and others to inform newcomers and to answer important but occasional questions ... whilst all the time considering franchise, legal and Rail Delivery Group stipulations , available "real estate" at the station, the update cycle for design and installation of signs, and the need for the local station management team to be engaged in the process too. Adding another sign board ain't necessarily the answer; you don't want to drown vital data in an ocean of other stuff, and at places like Frome you're likely to need (?) things like listed building planning permission. Finally, you need to look at sign board location - where staffing is limited, are the signs going to be shut away ... is there a light source so they can be read in the dark ... will people find the sign board they need? "Heart of Wessex" CRP is the (lead) CRP on Frome, and I know they've been well involved in the considerable improvement that the A to Z there makes. The GWR poster team has done Frome (and Melksham) proud with A to Zs - I'm delighted from afar at Frome, concerned at Melksham as to what's it's replaced, where we have three panels (of of questionable need / duplicated content and no line of TransWilts sheet. We know it exists as it's on display at Chippenham. I am delighted to see that an A-Z departure poster has recently appeared in one of the poster displays on the platform at Frome Station. 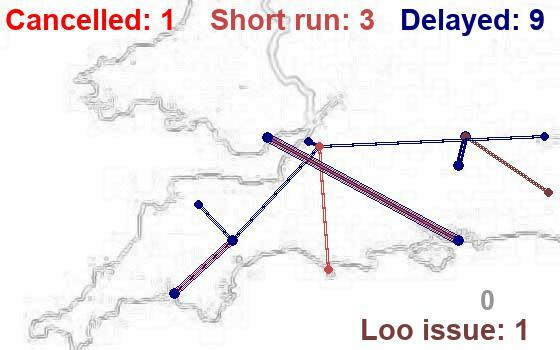 This is a significant improvement in information provision, since it now shows all train departures from Frome, and displays a good range of destinations (including some which involve connecting services).